Since 1883, AEG has been a leader in innovation when it comes to appliances for your home and kitchen. 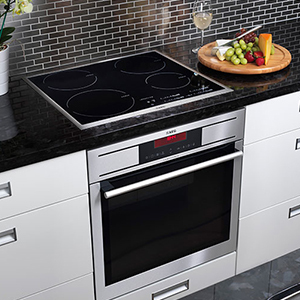 AEG manufactures a complete line of premium appliances including ranges, ovens, cooktops, coffee machines, microwaves, warming drawers, dishwashers and washing machines and dryers. AEG offers you a stylish and quality kitchen no matter what the size. Make the most of kitchen space with AEG’s beautiful selection of cooking appliances perfect for any style, from traditional to contemporary setting. 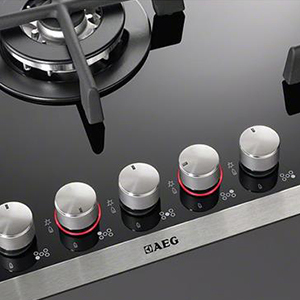 AEG appliances feature innovative design and functionality that make your life easier. 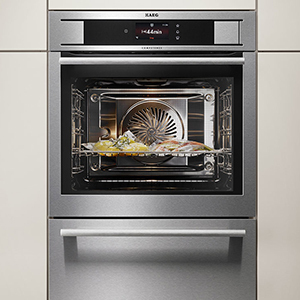 AEG ovens have exclusive hot air cooking technology that precisely circulates heat and allows you have exact control over temperatures. With cast iron supports on AEG’s ranges and cooktops, your pans will be fully supported so you won’t have to worry about uneven or unstable pans while you’re cooking. Eco Sensors in dishwashers from AEG monitor water quality and adjusts water consumption accordingly, minimizing the amount of water used and wasted.